Are you searching for a good private special needs school? Life in the city is fast-paced and demanding for any family. The challenges facing children who learn differently, and their parents, can be overwhelming. Learning can be difficult and confusing. There is also no one-size-fits-all teaching technique. Different children need different tools to rise to the challenges. Where can a family in this situation turn to for help? Parents who have enrolled their children with us agree: there is a private special needs school that will meet your requirements. Welcome to Japari School. At Japari, we realise each child is unique. Your child will enter into a partnership with our educators. In this partnership, we commit ourselves to finding and developing those specific techniques and routines which will benefit your unique child. 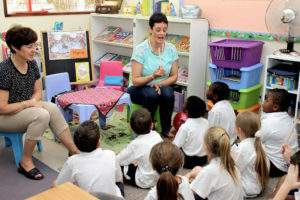 Our holistic approach has a strong focus on building confidence in our learners. We want your child to experience a safe, uplifting school environment. Japari is a private special needs school, but more than this, it is a compassionate community which encourages learning and progress in all areas. Whether your child is studious, artistic, or sporty, we will encourage, develop and celebrate their skills. At Japari we celebrate not only achievement but also progress. We understand that learning is at times difficult and confusing. Our aim is to provide each pupil with a tailored education, within a caring environment, to maximise their abilities and achieve personal goals. We have ambition on behalf of every child and want them to have the confidence to be ambitious for themselves. Our educators have the training and experience to deal with the challenges that face special needs students. These challenges may include a variety of weaknesses, disabilities and complex behavioural issues. Our staff is highly trained, collaborating across disciplines from physiotherapy to psychology, and many more. This ensures that Japari remains a private special needs school which adheres to the highest standards of quality education. We have a goal for each child that enters Japari, and that is for them to reach their full potential. 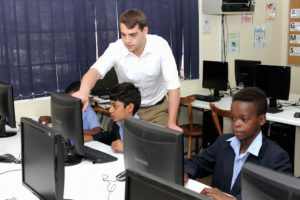 For many, this will mean that they can re-enter the mainstream educational system once they are ready. As we build up their confidence, academics, and social skills, they can prepare for a bright future. 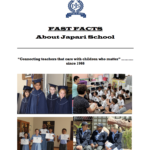 With a history dating back to 1966, Japari will ensure your child is established on the pathway to success. Japari is a private special needs school at the forefront of educational techniques for those who learn differently. Please feel free to contact us at in 2018. We would be happy to offer our assistance when the school reopens. Can u please send me more information about your school , want to move my son . He has autism . Thank you for contacting Japari School. Please follow the link and submit the enquiry form. We will get back to you after receiving the subbmited form. Otherwise, feel free to contact us. My son, 11 yrs old in Grade 5 is not coping in mainstream school, need urgent help. Please do not hesitate to contact our offices. We would be happy to help. Best is the fill in the enquiry form for better evaluation. We will respond after receiving your submission. I have a 10 year old son with epilepsy and he struggling to learn in a normal should he can read and write.I would like to know if your schools except children with epilepsy if yes how to enroll him for next year 2019? Good day, I have a 13-yr-old son with autism needing placement. Can we please have an appointment with the school? How much are the fees per month?